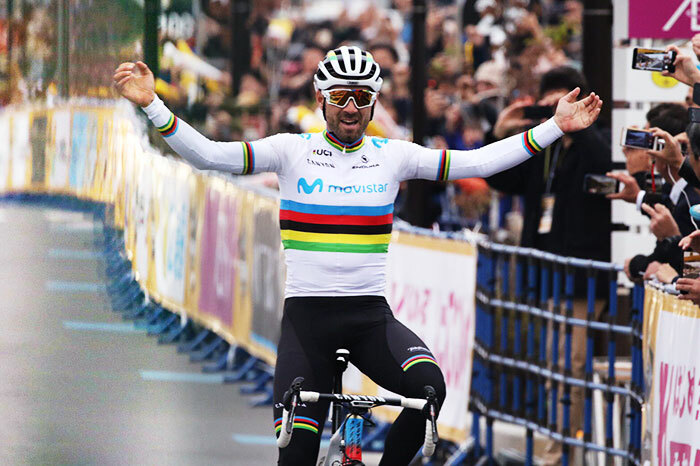 World champion Alejandro Valverde (Movistar) edged out Tour de France winner Geraint Thomas (Team Sky) to claim victory in the Saitama Criterium today. A total of 53 riders took part in the race, which was contested over 19 laps of a 3.1 kilometer circuit in Japan. Four-time Grand Tour victor Vincenzo Nibali rode aggressively early on and broke clear with Alexander Kristoff, Matteo Trentin and home rider Yusuke Hatanaka. But Valverde and Team Sky rider Thomas, who at that stage rode within the peloton, never let the gap grow bigger than 15 seconds. The pack came back together with 19 kilometers remaining, before Thomas initiated an attack during the last 15 kilometers. Nibali and Valverde attacked, alongside Special TDF Japan Team riders Yukiya Arashiro and Fumiyuki Beppu, as the crowd hoped for a home race winner. But, Nibali and Beppu fell back as the finish approached and the final sprint ultimately came down to a battle between Valverde and Thomas. 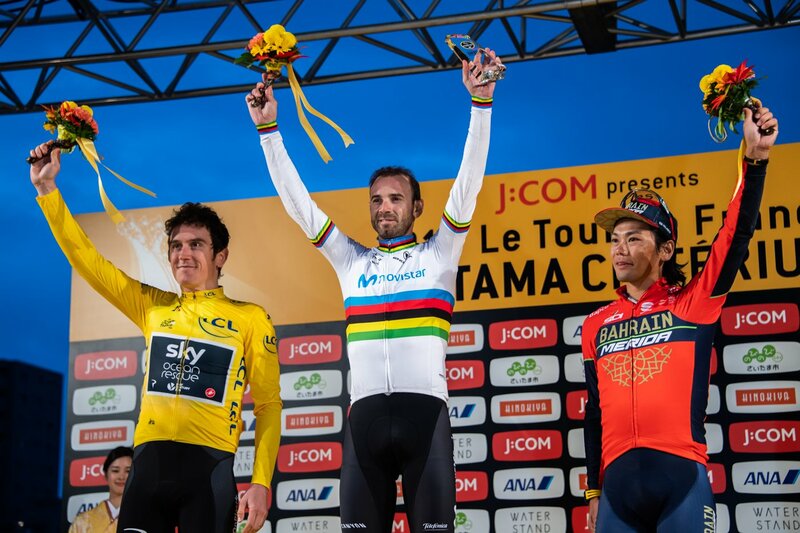 Valverde ultimately edged out this year’s Tour de France champion to seize the race honors, while Arashiro completed the podium to the delight of the Japanese spectators. “It’s great to win here. 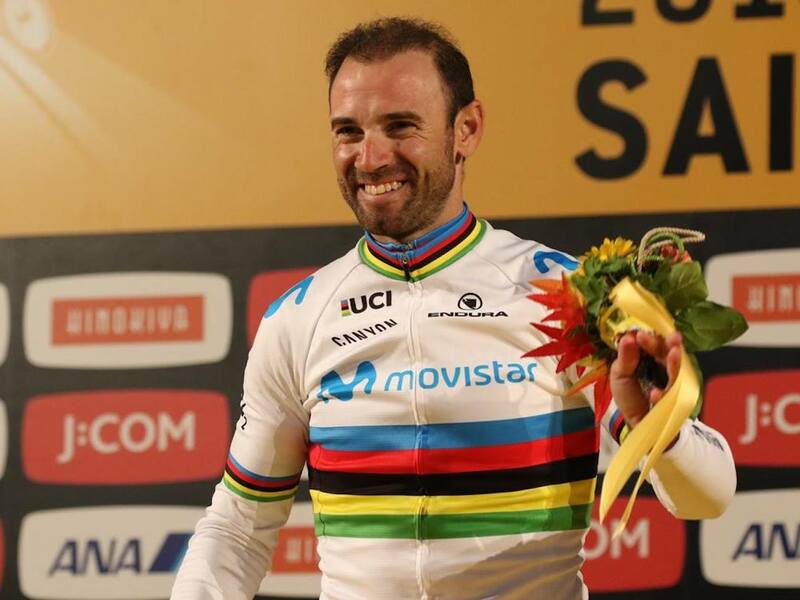 This is my first victory in the rainbow jersey, so I’m very happy,” a jubilant Valverde told the Japanese media.